Well...9M96 was announced a long time ago (as with the never ending story of 40N6). rambo54 wrote: Well...9M96 was announced a long time ago (as with the never ending story of 40N6). the main missile for S-500 is 77N6 or whatever while 40N6 may get used for lower range capabilities. Can any one who can read Russian tell the difference ? 9M100E-1 is six times heavier than 9M100E, plus both of these missiles are designed for the shipborne version of the S-400. Oops, my bad. I have confused the two. well this is a shock , earlier mockups had imaging infrared guidance , this is command guided or active radar possibly due to canards being moved back to free up space? Rmf wrote: well this is a shock , earlier mockups had imaging infrared guidance , this is command guided or active radar possibly due to canards being moved back to free up space? 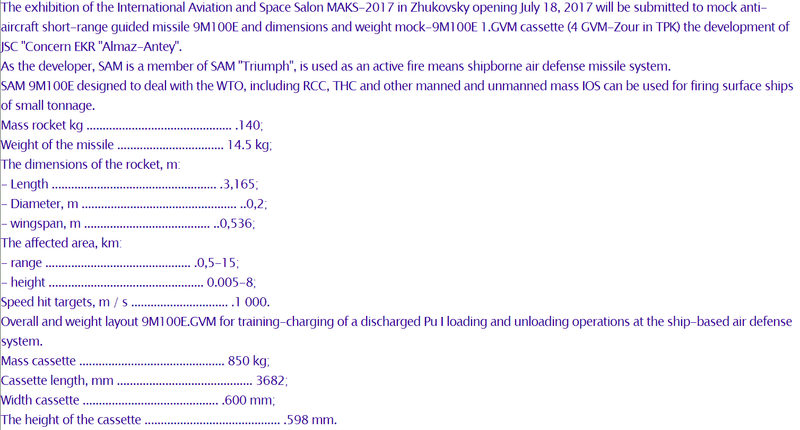 From the devloper "Reported on the accompanying stand, the missile "included in the SAM" Triumph "is used as an active fire SAM shipborne facilities." It is the 9M100E, E being it is an export variant. I doubt it will be anything more than a command guided missile. Or it could be active homing. I guess we will have to wait and see if anything is mentioned in the next coming days from MAKS. miketheterrible wrote: It is the 9M100E, E being it is an export variant. I doubt it will be anything more than a command guided missile. Or it could be active homing. Its not that export model will have command guidance and local one active homing , They both would have the same guidance the Russian variant would have longer range/altitude. Does the radars of Redut and S-400 systems can use a command guided missile ? Redut is designed clearly for active radar missiles so that they could defend against salvo attacks. Command guiding would need much more processing power of the system so that they would be less good against salvos. I would say it's radar guided. There are also these wholes on the top behind the canards or fins (I don't know the right name of this). Maybe they are laser fuse or maybe they are for gaz ejection so that their lunch is like the one of 9M96 missiles (with the black smock). 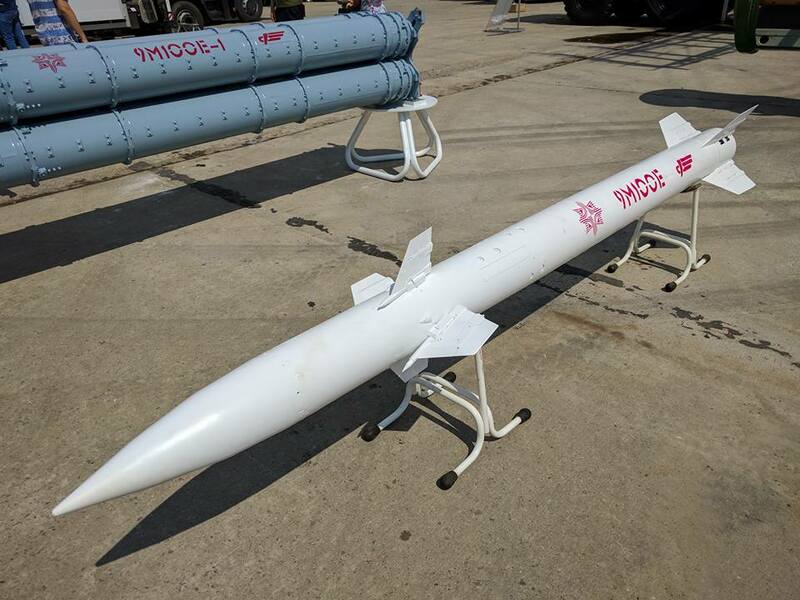 These 9M100 missiles are interesting... the 9M100 was supposed to be an IIR homing short range lock on after launch missile for all branches... called Morfei. The air force was going to use it as a short range AAM and also to shoot down incoming AAMs and SAMs... to be carried by helos and fighters and bombers. The navy was supposed to use it as a CIWS to protect ships and harbours. The Army was supposed to replace their SA-13s with it. So the question is... is this it? Is there an IIR guided model? Having IIR and ARH missiles would be useful. The questions are... was this planned all along and the ARH models are ready first, or was this a plan B because plan A was not coming along quick enough. Will there be a plan A now that plan B is clearly a thing now. Certainly the performance of optical jamming systems has improved, but having alternative guidance systems makes the systems more robust. At the very least it seems to be a 140kg light missile that the S-350 could use for self defence from swarm attacks. GarryB wrote: These 9M100 missiles are interesting... the 9M100 was supposed to be an IIR homing short range lock on after launch missile for all branches... called Morfei. So when an interceptor missile hits an ICBM that is carrying a nuclear warhead, will the nuclear warhead explode upon impact ? No! The nuclear warhead can't explode after a kinetic hit from an interceptor. The mechanism to realize a nuclear explosion is very complex. Exact geometry is needed, it's a complex combination of hypercritical mass, neutron reflector and neutron source. But radioactive parts will still fall from sky! Just compare to explosive materials like C4. You can shoot it, burn it, throw it out of a window, it will not explore. You need a detonator to explode it. If you put some C4 to plutonium, you have a dirty bomb, but no nuclear bomb (most propably ). A atomic bomb consist of two subcritical mass and neutron reflector (function of a mirror). A minor explosion catapults one of subcritical masses to the other subcritical mass, in the focus of the "neutron mirror". Now the mass is hypercritical and the neutron flux is even high enough, thanks to the neutron reflector. Uncontrolled chain reaction occurs and BAMM nuclear explosion. In reality the mechanism is a bit more complex. If the interceptor now collides with the nuclear warhead, with a kinetic difference of at least 15.000 km/h, the kinetic energy is soo high that the nuclear warhead is shattered in hundreds or thousands of pieces. No hypercritical mass, no existent reflector, even not the time for a accidental explosion! Yes of course uranium or plutonium will fall from sky if the warhead is smashed and both are not really healthy. A bit like a "dirty bomb". Plutonium is incredible dangerous, one atom can cause cancer! But with enough people, a bit time and a Geiger-Mueller counter, all radioactive pieces are collectable. Nothing compared to a nuclear explosion and the devastation, fallout etc! As mentioned above a nuclear warhead is very complex so that it does not explode by accident when not wanted but does explode when needed. The simplest design is called a gun design where a mass of radioactive material sits at one end of a gun barrel inside the warhead. to detonate a small piece of radioactive material is shot down the barrel into the remaining mass... together the two pieces form critical mass and detonate. a HE explosion would shatter the setup and prevent critical mass from being achieve so no explosion. The HE components might explode but no actual nuclear detonation will take place. In more powerful devices you might have 20 pieces of nuclear material that are all blown together on detonation forming critical mass and creating a nuclear explosion. A HE impact can ruin that too... you might get a partial nuclear explosion but most likely no nuclear explosion at all. Most nuclear warheads are kept in air conditioned bomb bays to ensure the explosive within them detonates at the correct rate to ensure maximum yield. Even just minor damage can greatly reduce the yield of the weapon or even prevent it from exploding. To penetrate a silo you need a ground burst... a blast wave wont cut it. A TOR missile hit above the ground... say at 6,000m would make any nuclear weapon ineffective at penetrating a silo. Azi wrote: If the interceptor now collides with the nuclear warhead, with a kinetic difference of at least 15.000 km/h, the kinetic energy is soo high that the nuclear warhead is shattered in hundreds or thousands of pieces. No hypercritical mass, no existent reflector, even not the time for a accidental explosion! Interesting ! So even if the interception of the nuclear weapon is done by the A 135 which is not a hit to kill vehicle but a large thermobaric explosion even then the nuclear warhead will not explode despite the enormous heat & blast pressure, isn't it ? Thanks again. High temperatures from the nuke explosion of the interceptor, plus high energy neutrons could easily render an incoming nuclear warhead a dud. The newest anti-aircraft missile systems (SAMs) S-500 Prometheus and Antei-4000 will be presented for the first time to foreign military specialists at the exhibition-forum Army-2017, which opens tomorrow. 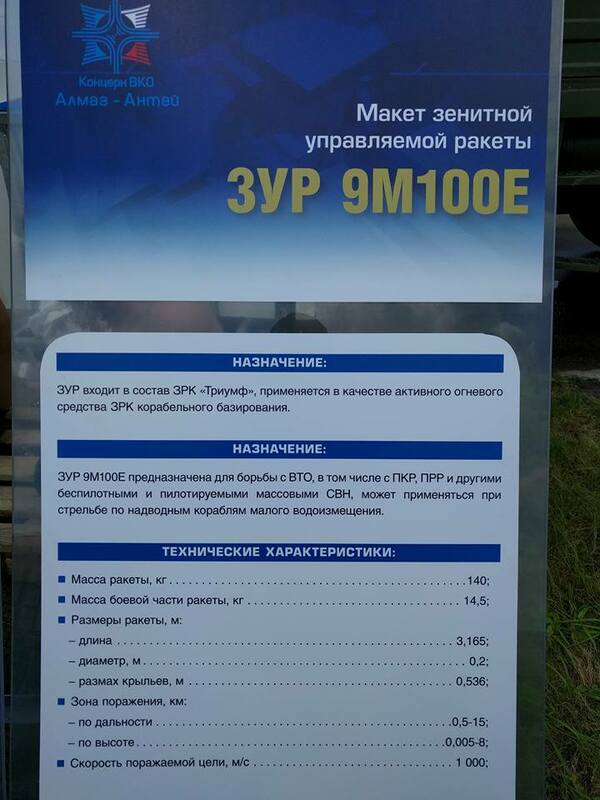 In addition to them will be shown and anti-aircraft missile system "Buk-M3" with updated weapons. Experts believe that the novelties, which have become the basis of the unified national system of air and space defense of Russia, will cause great interest among foreign buyers. The Defense Ministry told Izvestia that the advanced anti-aircraft missile systems would be demonstrated in the closed part of the exposition of the Army-2017 forum. The S-500 Prometey and Antei-4000 are positioned as the main elements of the unified national air and space defense system being created in Russia. However, there is practically no official information about their real possibilities. It is known that the S-500 is capable of intercepting a wide range of aerospace purposes. Including American hypersonic aircraft, which for the characteristic trajectory of flight received the nickname "runners". 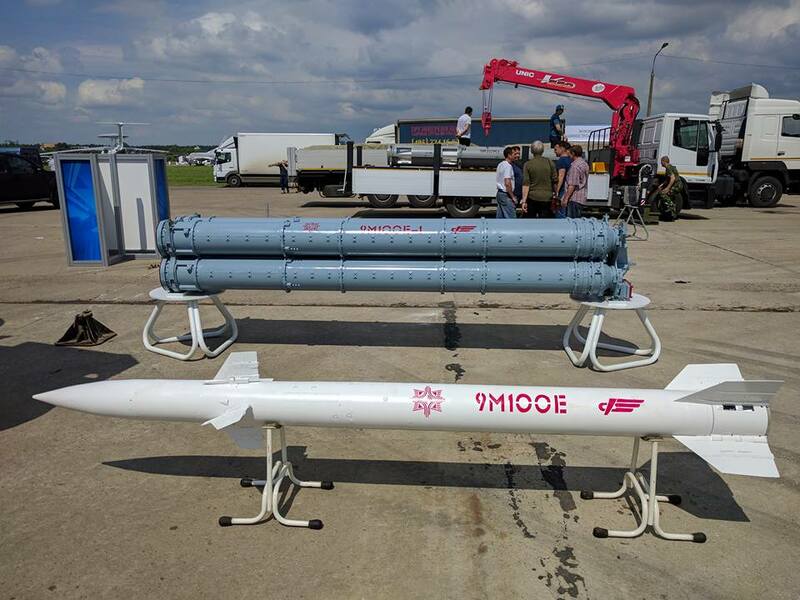 Earlier, Alexander Vedrov, Deputy Director General for Production and Technological Policy of Almaz-Antey Concern OJSC, noted only that this weapon represents a new generation of SAMs, in which it is intended to apply the principle of separate solution of the tasks of destroying ballistic and aerodynamic targets. Their supplies to the Russian military are scheduled for 2019. At the same time, an export passport of products can be prepared, without which it is impossible to sell them to foreign customers. "The secrecy with respect to the S-500" Prometheus "is explained by the ambitiousness of the tasks facing it," Professor of the Academy of Military Sciences Vadim Kozyulin told Izvestia. - They must be able to shoot conventional and hypersonic cruise missiles, aircraft and unmanned aerial vehicles (UAVs). Do this both at the very surface of the Earth, and in the near space. And this already implies the destruction of low-orbit satellites and space weapons, launched from hypersonic aircraft, shock hypersonic UAVs and orbital platforms. The appearance of Prometheus has not yet been officially presented. Although it was accidentally discovered by the Almaz-Antey concern itself. The figure of a six-axis machine with two launch tubes was included in the company's annual calendar. 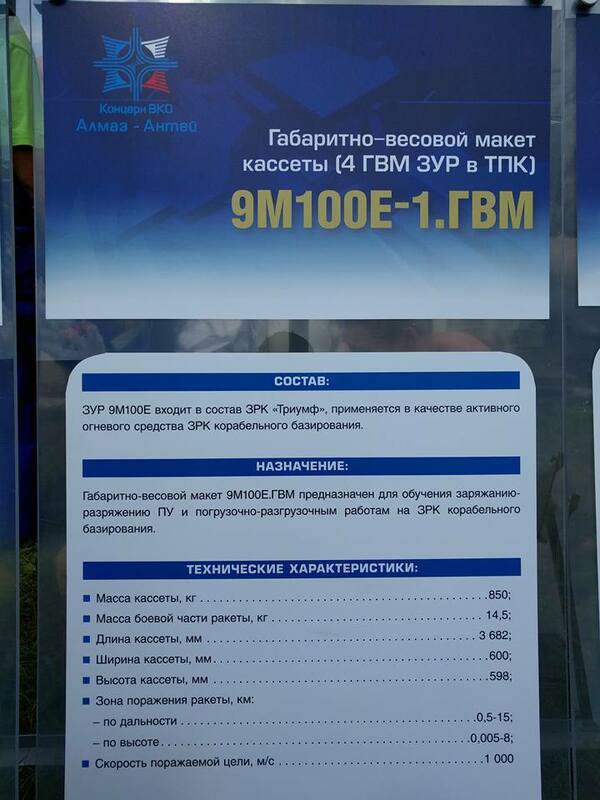 A little more is known about Antey-4000. This system represents an export version of the newest S-300V4 anti-aircraft missile system. In the Russian army, this ZRS comes in 2014. Unlike its predecessor, the S-300V complex, the element base has been completely updated in the new machine. New super-powerful computers, new domestic software are installed. The radars of the complex became more sensitive and noise-proof. For the new system, unique long-range missiles were created. They must confidently hit targets at ranges of up to 400 km. The system also provides for less powerful missiles to combat small-sized targets within a radius of 150 km. In general, the combat effectiveness of the S-300V4 increased by 2.3 times compared with previous generations of S-300s. Andrei Frolov, editor-in-chief of the magazine Export of Arms, suggested in a conversation with Izvestia that the new SAMs will be demonstrated primarily to potential foreign buyers. - The growth of demand for air defense and missile defense systems is facilitated by the situation around the DPRK. If Pyongyang makes a new rocket, then it will quickly go to export and can be in Iran and Pakistan, "the expert said. - In addition, the experience of the war in Yemen showed that the systems existing in Saudi Arabia do not always intercept even obsolete Soviet-made missiles. According to Andrei Frolov, the list of possible customers is quite large. Interest in the newest SAMs can be shown by China, India, Vietnam, Algeria, Kazakhstan, Azerbaijan, Turkey, Egypt, Iran, Iraq, and also some monarchies of the Persian Gulf - Kuwait, Saudi Arabia, Qatar. "The first buyers can be Indians," the expert suggested. - Memorandum on the supply of air defense systems was signed with Delhi last fall. Negotiations on supplies and prices are currently under way. In April of this year, the presence in Syria of Russian S-300 and S-400 systems actually prevented a massive air campaign against government forces. At the same time, the authoritative US military publication Defense One wrote with reference to experts and representatives of the Pentagon that modern Russian air defense systems "cover" airspace over the coastal areas of the SAR for practically all air attack means.